Paella is a rice dish that originated in its modern form in the mid-19th century near lake Albufera, a lagoon near the eastern coast of Spain's Valencian region. Paella is a word in Valenician, thought to be a dialect of the Catalan language which derives from the Latin word patella for pan. 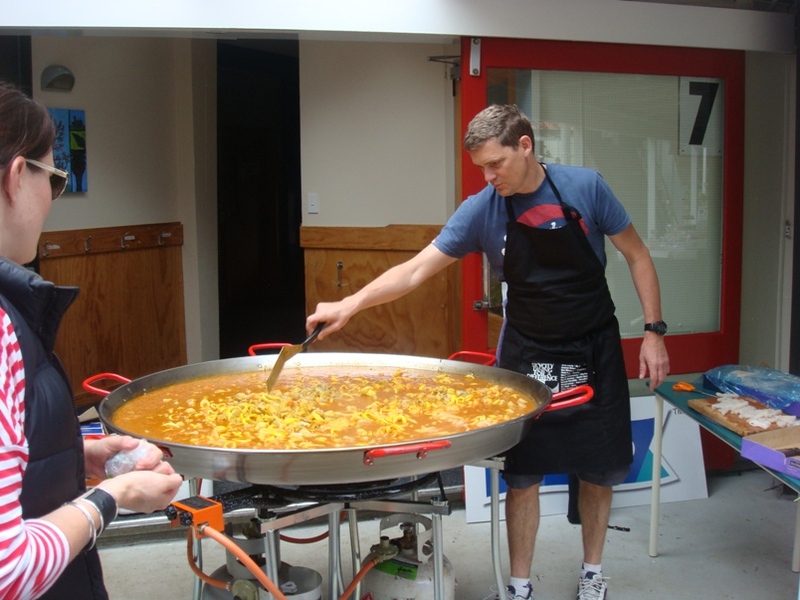 Many non-Spaniards view paella as Spain's national dish. However, most Spaniards consider it to be a regional Valencian dish. There are three widely known types of paella: Valencian paella (paella valenciana), seafood paella (paella de marisco) and mixed paella (paella mixta); but there are many others as well. Valencian paella consists of white rice, green vegetables, meat, snails, beans and seasoning. 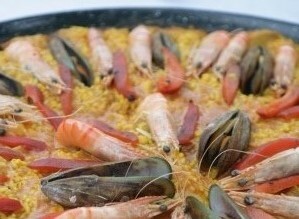 Seafood paella replaces meat and snails with seafood and omits beans and green vegetables. 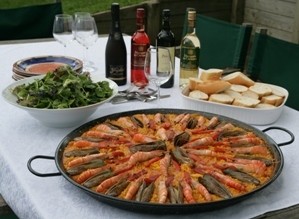 Mixed paella is a free-style combination of meat, seafood, vegetables and sometimes beans.